Here are two proposed items for the new PPACA exchange chief's to-do list. Larry Levitt, a senior vice president at the Henry J. Kaiser Family Foundation, has come up with a health policy parlor game: Create a to-do list for Kevin Counihan. Counihan most recently was head of the PPACA exchange in Connecticut, which shocked everyone by doing a pretty good job. Before that, he broke out of the Obama administration employment mold. It seems that, in part because of personal preferences, in part because of how the economy works, and in part of the need to have employees who are purer than pure in terms of taxation and compensation of household help, most Obama administration employees have work histories that are low on private-sector contact. Counihan himself has worked enough for companies like Cigna and a Word & Brown affiliate to have shown up in LifeHealthPro.com before PPACA was a gleam in Democrats’ eyes. It seems possible that he’s within one degree of LinkedIn separation from someone who reads LifeHealthPro.com and its e-mail newsletters. So, here are two suggestions for his inbox. 1. Refer to the exchanges as “exchanges,” not marketplaces. Maybe HHS has been trying to call those gorillas marketplaces because a focus group showed that consumers understood the word “marketplace” better than they understand the word “exchange.” Well, great, but policymakers sold the exchanges to the public and Congress as exchanges, not marketplaces. Calling the exchanges “marketplaces,” rather than “exchanges,” makes the exchange managers sound like dorks who spend their time obsessing about focus group reports when they ought to be obsessing about whether the front-end website works, whether the back-end administrative systems exist, and whether the evil overlords on Mars who have cloned all of our HealthCare.gov records will help us get into our accounts when we forget our passwords and lock ourselves out. Instead of having a highly performing name and great graphics, maybe HealthCare.gov should be boring and mysterious in the same way that big high-tech systems that actually work generally are. 2. Talk candidly with brokers and seek their advice and help. They used to be Counihan’s peeps, and they are the experts on patching dysfunctional systems. But HHS and the PPACA-related arms of HHS have gone out of their way to shut producers out. On the one hand, Gary Cohen, the former head of the Center for Consumer Information and Insurance Oversight (CCIIO), always seemed to give off the air of someone who would have reached out and touched a producer, if he could, but either that was a fake air, or he never got a chance. On the other hand, Health Agents for America (HAFA) has underscored how absurdly badly HHS treats exchange producers by getting copies of the mild-mannered e-mail newsletters HHS sends various kinds of nonprofit exchange helpers and forwarding them to the agents who sign up for HAFA. Apparently, HHS has a policy forbidding it from sharing general information on how to help consumers cope with the exchange system with agents and brokers. Sharing information on how to cope with exchange applicant documentation inconsistencies with random people who signed up for exchange helper programs and may or may not have spent the last 10 years on the run from the police? Fine. Sharing the exact same information with agents who are licensed, in the possession of errors and omissions insurance, and monitored by insurance commissioners with itchy examination trigger fingers? Forbidden. 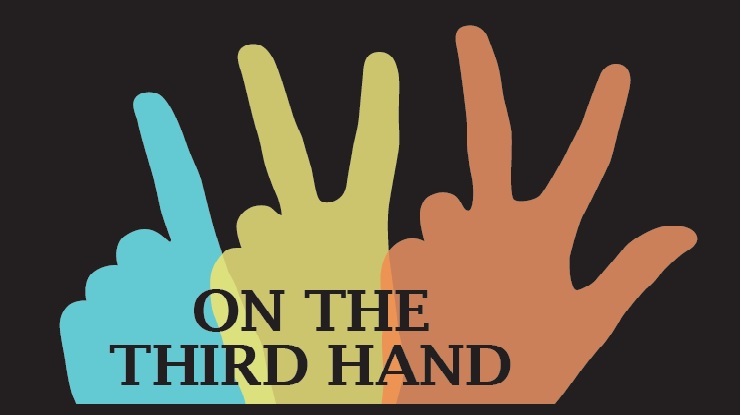 On the third hand, maybe the PPACA exchange system has lost its chance to ever have a good working relationship with large numbers of agents and brokers, anyway. HHS exchange producers need to complete annual registration activities by Sept. 30, 2014, to keep their registration status in place. How many producers will care enough about trying to do business with the PPACA exchange system to bother with re-registering?